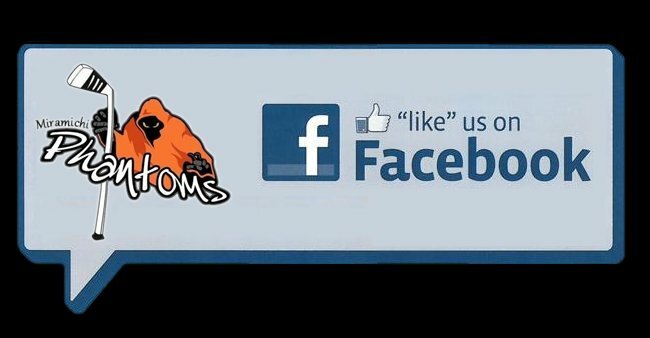 The Miramichi Phantoms would like to take this opportunity to thank its many fans and sponsors for their support during the 2014-2015 season. Without the support of our community the Phantoms would not be capable of icing a senior hockey franchise. The Phantoms organization look forward to your continued support in the 2015-2016 season. The Miramichi Phantoms came out firing on all cylinders last evening storming out to a 2-0 lead then surrendered four unanswered goals before bouncing back to tie the game in the third 4-4. But the Elsipogtog Hawks were not to be denied scoring two late goals in the 3rd and clinging onto a one goal lead in the last minute to win the game 6-5 and take the series 4-2. Kris Keating, Mathieu Richard, Bryce Silliker, Jeff Wilson and Stanson Donovan all had goals for the Phantoms, while Jonathan Connelly was tagged with the loss in goal. The Elsipogtog Hawks took control of the best of seven series versus the Phantoms Sunday evening, posting a 5-1 victory. The Phantoms struggled to generate quality scoring chances and were held to one lone goal off the stick of Jeff Wilson. Jonathan Connolly was in goal for the loss. The series now shifts back to Bouctouche Thursday evening. Matt Shannon played the hero Friday evening scoring in the first overtime period to even the series at two games a piece between the Miramichi Phantoms and Elsipogtog Hawks. Stanson Donovan, Logan McEvoy, Bryce Silliker and Nick Foran rounded out the scoring while Jonathan Connolly was between the pipes for the win. Game five now shifts back to the Miramichi Civic Center Sunday evening. The Miramichi Phantoms got the job done when it mattered knocking off the Elsipogtog Hawks in game three of their best of seven by a score of 6-4. The Phantoms would spread the goal scoring out between six players as Stanson Donovan, Pier-Paul Landry, James Sanford, Jeff Wilson, Bryce Silliker and Kris Keating all had one each. Jonathan Connelly was in goal and picked up his first playoff victory. With the win the Phantoms currently trail the series 2-1. The Miramichi Phantoms could not find enough answers to solve goaltender Julien Daigle as the Elsipogtog Hawks would go onto a 3-1 victory and take a commanding 2-0 series lead in the best of 7 NESHL quarter final. Kris Keating had the Phantoms lone goal and despite another brilliant effort in goal, Jonathan Connolly was tagged with the loss. The Miramichi Phantoms entered the 3rd period with a 2-1 lead but dropped the ball as the Elsipogtog Hawks would score 4 unanswered goals including an empty netter to seal the deal in game one of the best of seven series. Bryce Silliker and Robbie Veriker each scored a goal for the Phantoms while Jonathan Connolly was solid in goal but was charged with the loss. With 5 seconds left on the clock the Miramichi Phantoms tied the game and secured home ice advantage in round one of the playoffs. The Restigouche Nord Vikings would go on to win 7-6 in overtime but it was mission accomplished for the Phantoms. Bryce Silliker fired a hat trick for the Phantoms while Jesse Colbourne had a pair including the game tying goal while James Sanford rounded out the scoring for Miramichi. Marc Richard was in goal and suffered the OT loss. The Miramichi Phantoms were dismantled at the hands of the Lameque Au Ptit Mousse Friday evening by a final score of 15-5. The Phantoms couldn't stop the Lameque offensive flow with a short handed staff. Jeff Wilson scored a hat trick for the Phantoms while Jesse Colbourne & Tyson Donovan had the others. Jonathan Connolly started in goal and was replaced by Marc Richard in the second period. Kris McKay played hero Thursday evening at the LBA, scoring his first goal of the season in overtime to seal a 5-4 Miramichi victory. James Sanford, Bryce Silliker, Robbie Veriker and Jesse Colborne supplied the other Phantoms goals while Marc Richard was in goal for the win. With the victory the Phantoms sneak into first place in the East with a 9-6-3 record. The Miramichi Phantoms found themselves in a 5-2 hole late in the third period Wednesday evening but then clawed back to force overtime, then a shoot-out where Darcy Foran scored the winner in round five to seal a 6-5 Miramichi win. James Sanford, Bryce Silliker, Stanson Donovan, Kris Keating and Jeff Wilson had regulation goals for the Phantoms, while Jonathan Connelly was in net to preserve the win. The Miramichi Phantoms returned to the J.K. Irving Center in Bouctouche for the second straight Sunday and were treated to the same results with a crushing 8-2 defeat. The JC's took a 4-1 lead after one period and never looked back on their way to the route. Bryce Silliker scored both Phantom goals while Marc Richard was in goal for the loss. The Miramichi Phantoms dug themselves out of an early 3-0 deficit then tied the game late to force overtime Friday evening, where Kris Keating played the hero with the game winner. Jeff Wilson, AJ McKay, Stanson Donovan and Bryce Silliker notched the other Phantoms markers. Jonathan Connolley was in goal and recorded the win. In their only game of the weekend the Miramichi Phantoms took a severe beating at the hands of the Bouctouche JC's by a score of 10-3. The JC's would score early and often on their way to a rout. Jeremy Valley, Robbie Veriker and Stanson Donovan had the Phantoms goals while starter Jonathan Connelly took the loss and was replaced by Ben Berger in the second period. The league leading Tracadie Alpines continued its torrent pace Saturday evening posting an 8-5 victory over the Miramichi Phanotms at the LBA. The Phantoms couldn't find an answer to shut down the explosive Alpine offence. Darcy Foran scored a pair of goals for the Phantoms while Pier-Paul Landry, James Sanford and Logan McEvoy rounded out the scoring. Jonathan Connolly was tagged with the loss in goal. Miramichi now sports a record of 6-4-3 which is good enough for second place in the NESHL. On the strength of a strong goaltending performance from Marc Richard the Miramichi Phantoms edged the Elsipogtog Hawks Sunday evening by a score of 2-1. Jesse Colburne notched both Phantom goals in the victory. The Lameque Au Ptit Mousse used a 3rd period surge to slip out of Miramichi with a 5-2 victory. Justin Cortes and Jeff Wilson scored the Phantoms goals who were playing with a short handed staff. Jonathan Connelly was in goal and took the loss. The Phantoms record now stands at 5-3-3 after 11 games of play. In what was a fight filled affair the Miramichi Phantoms managed to secure an 8-6 victory over the Elsipogtog Hawks Friday evening in front of over 1200 fans at the Civic Center. Jeff Wilson led the way with a hat trick while solo goals came off the sticks of Nick Foran, Matthew Stockley, AJ McKay, Jesse Colburne and Pier-Paul Landry. Jonathan Connelly was between the pipes for the home team and got the win in goal. After three consecutive meetings the Miramichi Phantoms finally found their way to victory knocking off the Tracadie Alpines by a score of 5-2. The Phantoms had five different goals scorers on the evening as Jeff Wilson, Jesse Colburne, Darcy Foran, Stanson Donovan and Jeremy Valley all found the scoresheet. Marc Richard picked up his first victory in the goal on the season turning in an impressive performance. The Miramichi Phantoms experienced some heart break Friday evening at the hands of the Tracadie Alpines. With 8 seconds remaining the Alpines scored the go ahead goal to seal the victory by a score of 5-4. Newcomer Stanson Donovan scored a pair for the Phantoms while Pier-Paul Landry also notched a deuce. Johnathon Connolly was in goal and took the loss. The Miramichi Phantoms suffered their first regulation loss of the season Saturday evening at the hands of the Elsipotog Hawks. The Hawks blanked the Phantoms in a spirited affair by a score of 8-0. The Miramichi Phantoms moved into soul possession of first place in the NESHL Friday evening with a 7-3 win over the Restigouche North Vikings. The Phantoms scored early and never relinquished the lead on their way to victory. Pier-Paul Landry, Jeff Wilson and Bryce Silliker all found the twine twice and Robbie Veriker chipped in with a solo effort to cement the Phantoms scoring. Jonathan Connolly was text book in goal picking up the victory. With the win the Phantoms improve to 3-0-2. It took six shooters from each side but when the dust cleared the Elsipogtog Hawks knocked off the Miramichi Phantoms by a score of 8-7 Thursday evening at the LBA. Bryce Silliker inflicted maximum damage scoring four goals for the Phantoms while Ryan Gillespie, Jesse Colborne and Pier-Paul Landry rounded out the scoring. Marc Richard was in net for the Phantoms and suffered the shoot-out loss. The Miramichi Phantoms picked up right where they left off last weekend knocking off the Bouctouche JCs by a score of 2-1. Matthew Stockley and Pier-Paul Landry were the Phantoms goal scorers while Jonathan Connolly once again stood tall in net and picked up the victory. With the win Miramichi improves their first place record to 2-0-1. The visiting Miramichi Phantoms used a three goal third period to storm back and beat the Restigouche Nord Vikings by a final score of 7-6. Jeff Wilson and Matthew Stockley both had a pair of goals for the Phantoms while single markers came off the sticks of Bryce Silliker, Darcy Foran and Nick Foran with the game winner. Once again Jonathan Connely got the call in goal and secured his first NESHL victory. The Phantoms had a successful first weekend picking up three of a possible four points. The Miramichi Phantoms began their 2014-2015 season a strong note Friday evening. The Phantoms were seconds away from defeating the defending NESHL champions and Allan Cup Qualifier the Lameque Au Ptit Mousse. But it was not to be for the Phantoms as Lameque tied the game with 21 seconds remaining with a 5 on 3 powperplay then went on to win in overtime, making the final score 6-5. Newcomers Jesse Colborne and Matthew Stockley scored for the Phantoms, while Darcy Foran, Bryce Silliker and Jeff Wilson had singles also. Jonathan Connely was stellar between the pipes in a losing effort. The NESHL conducted its draft of the now defunct Memramcook Acadiens and Cap-Pele Pecheurs franchises. The Miramichi Phantoms were proud to select the following players. The NESHL conducted its pre-season draft last evening. The Miramichi Phantoms were proud to select the following players.